Turns out the abandoned buildings from the former town Belle Plain are on private property, surrounded by a barbed wire fence. Regular visitors cannot legally or comfortably visit the "ghost town." 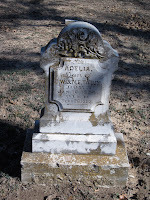 On the way there however, was a small sign for Belle Plain cemetery and we decided to check that out. It turned out to be super-interesting. There are gravestones from all eras in a wide variety of designs and several with unique personalization. 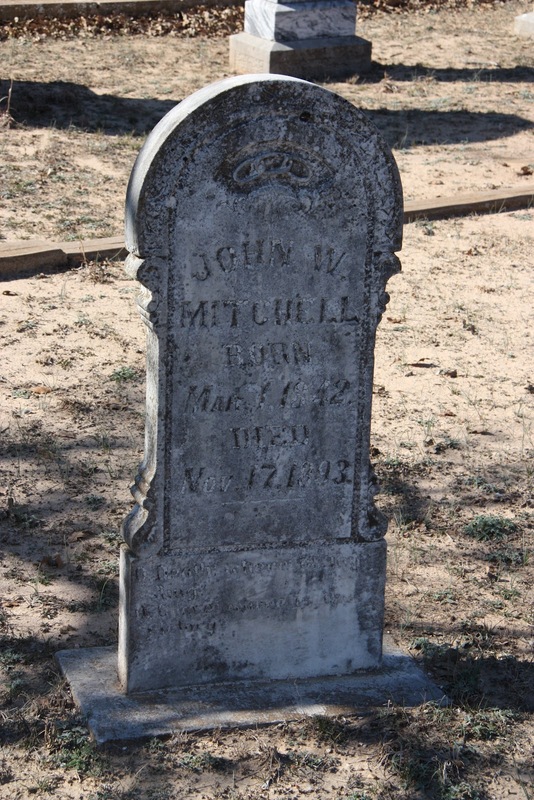 Some locals from the adjacent town of Baird were on a Sunday afternoon drive with their elder mothers, and had stopped by the cemetery for one of the widows to visit her husband's grave. When asked they not only gave us directions to the "ghost town," but had us follow them in their truck; after solicitously warning us about possible deep mud along the way from recent heavy rains in the area. Before we said goodbye, they shared a story about a friend of theirs who had been hired to raze one of the abandoned homes. During the process of demolition the man found a revolver buried under the floorboards of the house. A mystery! What was the story? What had the gun been used for and why was it there?! They also told about when they were growing up, teenagers would come out in groups at night to the "haunted" house to scare and entertain themselves. There are the remains of a three-story brick building that does look rather impressive for a relatively recent American "ruin." Since after all, we don't have ancient castles in this country. Apparently the structure was a music school at one point and held baby grand pianos in its heyday. There are a few historical markers with some good information on Belle Plain, placed outside the barbed-wire fence along the dirt road. So pass our lives, one by one. - Claude M. Flores, Jr. Does looking at the sign bring back incredible memories of taking your driver's test? However recently you might have experienced that milestone, parallel parking is truly a difficult skill to master. Day and night this spot is busy with people maneuvering their vehicles into position, trying not to bang into the yellow pole (notice how bent it is). Striving to be 6 inches from the curb in the final position. A landmark created by artist Wayne Amerine, "The Herd" appears to graze and moo in a patch of scrub grass at the 277 exit from highway 83. Some businesses give directions to their establishment by saying, "near the cow sculptures." A permanent outdoor installation, these wooden and metal Holsteins add whimsy and spots (;) of color to an otherwise plain expanse of vegetation. The Spring morning semi-trucks arrived with their delivery of girl scout cookies. In the parking lot across from the zoo, parents, leaders and girls were unloading boxes onto dolleys, into pick-ups and out into the community to sell. The busy scene emphasized the volume of cookies bought and sold each year.